The Seatics® Maps API is a fully-responsive, licensable interactive maps solution for clients who want maximum control of the UI design. 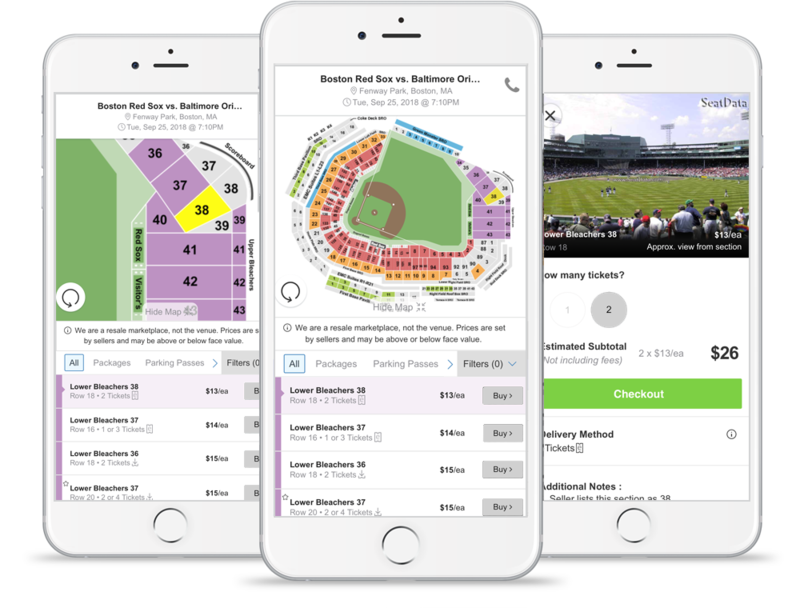 Section highlighting, approximate seat views, and seller notes provide the buyer with confidence in their purchase decision. Responsive layout adjusts to screen size, providing an experience optimized for the user's device. Seatics® Maps were built with mobile in mind. Our modular API allows for two UI options: (1) use a pre-built UI with numerous configuration options, or (2) build a completely customized UI to fit your needs. 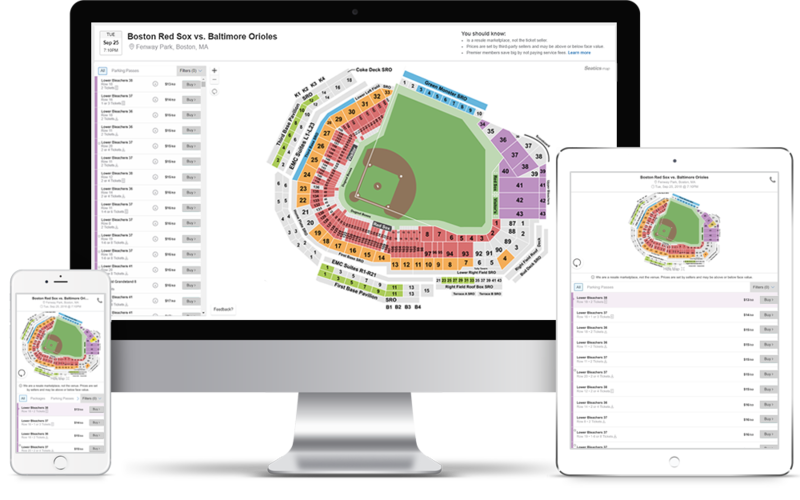 Provide a great customer experience with thousands of approximate view-from-section images for most major sporting events, as well as some additional venues/theaters. Seatics® Maps supports any and all inventory sources/feeds, and allows for the combining of multiple inventory sources at the same time. Our modern UI is continually user tested and improved to provide end-customers with a best-in-class interactive map and buying experience. Get in touch to learn more about our Seatics® Maps API today! © 2006– Ticket Software LLC. All rights reserved.